You have the power to change a student’s life forever. Educating students is the heart and soul of our mission. We have the privilege—and the responsibility—of preparing the leaders, thinkers, and problem-solvers who will assure a strong future for Indiana, the nation, and the world. Join us in advancing student success today. The support of donors makes a world of difference for so many at IU. Hear directly from some of the students whose lives were forever changed thanks to generous gifts that enabled them to begin, continue, or complete their IU education. For me, going to college was something that was not even envisioned when I was born. I value every single class that I went to, all the professors I met and all the career exploration trips—things that some people take for granted. Marv Smalley, BS’80, has led a life defined by service. After a four-year active stint in the U.S. Air Force, Smalley spent 29 years with the Indiana State Police (ISP) before serving as a U.S. Department of Defense liaison for the 1994 FIFA World Cup, 1996 Summer Olympic Games, and the 2002 Winter Olympics. Thanks to his generosity, he’ll enable generations of IU students to follow in his footsteps. Smalley recently funded the largest endowed scholarship in the history of the School of Public and Environmental Affairs at IUPUI. Smalley’s gift will support two full-tuition scholarships each year for current and retired members of the ISP, as well as the children, stepchildren, grandchildren, and step-grandchildren of ISP officers. Imagine the world we could create if everyone who was able to give did so like Marv Smalley. The need exists. They are out there: the future doctors and teachers and civil servants who could thrive with your support. Let’s give them what they need to flourish. An endowed scholarship like the Fry Scholars Program in the IU Kelley School of Business opens many doors. Just ask twins Maya and Mica Caine. 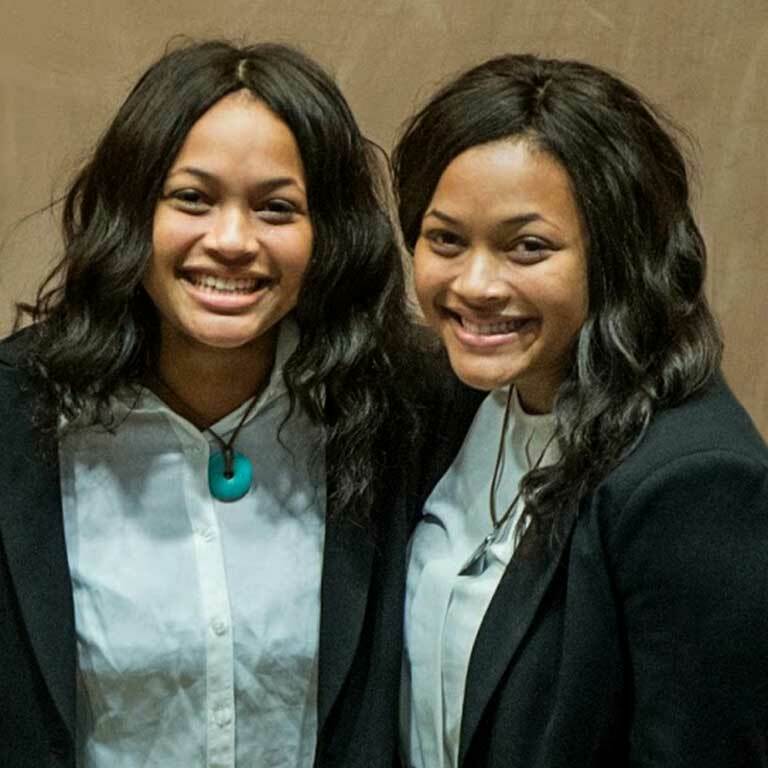 In just their first year at IU, the twins were part of the Kelley School’s championship team at the National Black MBA Association’s inaugural undergraduate case competition. In the same year, partnering with two other freshmen to compete in IU’s fourth annual National Diversity Case Competition, their team took top prize, defeating teams with older peers from 34 other universities, including Yale, Berkeley, NYU, and Penn State. Scores of other students like Maya and Mica have the drive, determination, and capability to thrive—all they need is the opportunity to do so. By supporting the bicentennial campaign today, you can give those students the opportunities they deserve. To learn how you can help write the next chapter in the story of student success at IU, contact Jeffrey Lindauer, Vice President for Advancement Services and Managing Director of Capital Campaigns, at jlindaue@indiana.edu or 812-855-4567.